NU'EST Min hyun released MV teaser of 'Universe' for the first time. The group's NU'EST Min hyun is making headlines for making a surprise release of the first teaser video of the full-length album "Universe." The agency Fledis Entertainment released a teaser video for his new song "Universse," which will be released on its official YouTube channel and SNS at midnight 1, for the first time, raising expectations. 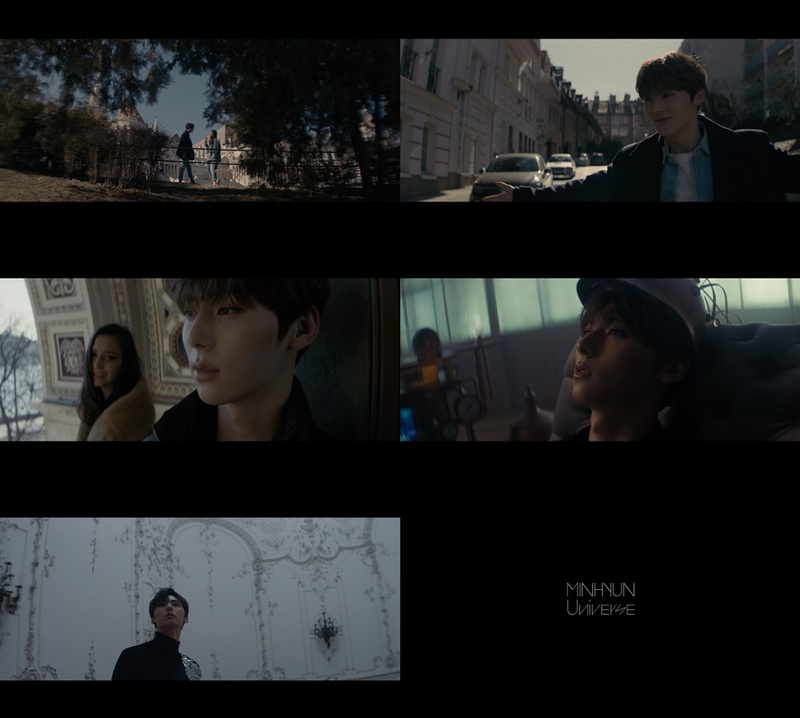 In the released teaser video, Min hyun was able to catch the attention of the viewers at once with perfect visuals and added sophistication, which excited fans. and the exotic background and magnificent and beautiful scenery harmonized with teaser images, adding a more sensual feel to the attention. At the end of the video, Min hyun seems to be searching for someone inside a huge palace behind a background music that has a heightened atmosphere and a tense atmosphere, he is making her more curious as he adds to the gloomy mood of eyes. The release of the teaser for the "Universe" music video featuring sensual video beauty and exotic scenery has amplified curiosity, with various communities speculating on what the video in the teaser really means, and interest in the original music video is soaring. Especially, music fans' expectations are growing as Min hyun is known to have participated in the new song "Universe" and improved the overall level of perfection. Since the first teaser for concept, released photo and music video has been getting a lot of attention, attention is being paid to what kind of record moves to write after the release of the pre-released song "Universe." Min hyun's pre-released song "Universe" is released on various online music sites at 6 p.m. on April 3, and NewEast will hold the 2019 NU'EST CONCERT "Segano" INEOUL at the KSPO DOME in Seoul for a total of three days from April 12 to 14.